Aren’t we lucky we live in Mesa, AZ? East Mesa is my niche area. Homes and neighborhoods and freeway access and shopping opportunities are great in East Mesa! Real estate is great here too. The weather is wonderful 7-months out of the year and we learn to tolerate the other 5. I’ve been serving East Mesa, Arizona as a Realtor/Broker for 28-years from the days when there wasn’t much east of Power Road. You can read all about Larry Mann’s qualifications, experience, education and passion right here. Look at us now! And, new subdivisions are springing up all over the place! We’re even drawing new builders to the area! Mattamy Homes is the largest homebuilder in Canada. They recently opened Eastmark at Ray Rd & Ellsworth. Phase 1 is opening now. They’ll build 163 homes there. I don’t want to dwell too much on new construction here because next month’s blog will focus on it. It’s exciting to see after the 2007 – 2012 doom and gloom we’ve been through. Fortunately, mortgage rates are still relatively low. Some are complaining about 4.5% mortgages; but, I can remember when 12% was a fair rate back in 1985 when I started as a Realtor! I’m proud to report that home prices for homes for sale in Mesa, AZ are up for the 16th straight month in a row. 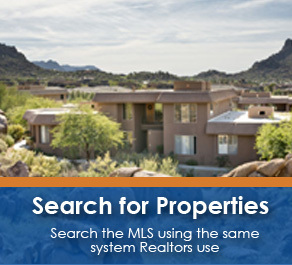 The average list price of Mesa properties for sale was $200,000 in April, 2013 that’s up 5% over April 2012. The median sales price was $180,000, that’s up 3% over April 2012. There were 233 short sales or foreclosed properties on the market selling for a median sales price of $151,600, a $28,400 discount to non-distressed sales. Foreclosure homes aren’t plentiful in East Mesa; but, they’re still available … as are short sales. While homes across the US were up 12.2% in May, according to CoreLogic, homes in East Mesa were up 11.8%. Overall, the median home sales price for Arizona has risen 30% in 2013 alone! Let’s take a look at some national statistics. Realtor.com indicates Total existing-home sales1, which are completed transactions that include single-family homes, townhomes, condominiums and co-ops, rose 4.2 percent to a seasonally adjusted annual rate of 5.18 million in May from 4.97 million in April, and is 12.9 percent above the 4.59 million-unit pace in May 2012. Existing-home sales are at the highest level since November 2009 when the market jumped to 5.44 million as buyers took advantage of tax stimulus. Sales have stayed above year-ago levels for 23 months, while the national median price shows 15 consecutive months of year-over-year increases. Total housing inventory at the end of May rose 3.3 percent to 2.22 million existing homes available for sale, which represents a 5.1-month supply2 at the current sales pace, down from 5.2 months in April. Listed inventory is 10.1 percent below a year ago, when there was a 6.5-month supply. The national median existing-home price3 for all housing types was $208,000 in May, up 15.4 percent from May 2012. This marks six straight months of double-digit increases and is the strongest price gain since October 2005, which jumped a record 16.6 percent from a year earlier. The last time there were 15 consecutive months of year-over-year price increases was from March 2005 to May 2006. Back to homes for sale in Mesa AZ. About 70% of the buyers in today’s market are first time homebuyers; and, I have several special financing packages and buyer incentives available for first time homebuyers. But, it’s difficult for entry level buyers to get a home. I have some newlywed buyers I’m working with now. They’re qualified to buy up to $190,000. We’ve made offers on 7 homes now and got outbid on all of them. The problem is twofold. One is that many sellers are waiting for a little more market appreciation before they list their properties; and, I couldn’t, in good conscience, try to convince them that homes prices won’t be higher next year. Many people bought in 2005 – 2006 and still have negative equity in their home. So, there just aren’t enough homes on the market. The other is that hedge funds are making sight unseen, all cash offers on any homes priced under $200,000. A hedge fund is an investment group that pools wealthy people’s money and invests it. They can get better returns leasing homes right now than they can get putting their excess cash in a bank account or CD paying less than 1%. So, the market is exciting now! In my 28-years of working as a Realtor, I keep learning that our real estate market is constantly evolving, changing. Stick around and enjoy the ride! Soon, as sellers sell their entry level homes, we’ll have more move-up buyers. That’s when things will get exciting! Do you have any questions? Larry Mann works for Relentis Real Estate Group as an Associate Broker. His tag line is: Larry Mann Can, Your Can Do Real Estate Mann. What does that mean to you as a buyer or seller? You can read my can do promises here. He’d be glad to answer any questions you might have. Next month will be about new construction homes for sale in Mesa, AZ.